With retirement comes plenty of time, but as weeks turn into months, it can become difficult to think of ways to fill your days. Many of today’s seniors don’t fit with the image associated with retirement even ten years ago. Young and old retirees alike are involved in outdoor activities, social clubs, and enjoy traveling and generally staying active in retirement. So for some, the idea of volunteering during retirement won’t seem like a new concept, but if you haven’t given your time instead of your money recently, it might be time to reconsider. 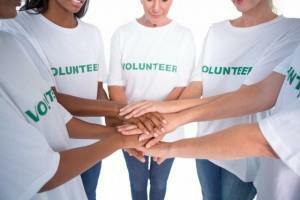 Volunteering is a popular outlet in many active adult communities because it’s so flexible. Not only can you get involved with a charity or organization that fits your goals and ability level, you can do it as much or as little as you want. Often there are opportunities right in your town that go unnoticed. If you’re new to the idea of volunteering during retirement, this is how you get started. With such a diverse range of volunteering opportunities, it can be difficult to know how to narrow down your options. Consult those closest to you first to see if they know of any chances of getting involved with the community. Helping out with a onetime event is a great way to ease into the volunteering world, but if you live in an active adult community (which we think are some of the best places to retire) there are typically resources on site that help match your interests with organizations in your town. For some, working with children might sound like a nightmare while others could play with little ones all day. Check out online resources as well, such as AARP. If you’re still not convinced that volunteering is for you, it might be helpful to note that it’s mutually beneficial. Volunteering is a great way to get involved in your community and meet new people, which can be difficult if you’re living at home alone. Staying social keeps your mind sharp and no matter your circumstances, it’s hard to leave a volunteer session without an enhanced sense of gratitude. And some seniors are even using volunteering as a way to travel the country. Many programs, such as NOMAD (Nomads on a Mission Active in Divine Service) offer room and board in exchange for service and there’s no time limit on how little or long you spend volunteering. There are also a variety of international volunteer programs, but they may cost a little bit more. Everyone has a different idea of the best places to retire and what retirement should look like, and many of us have the luxury of being able to define it and see it through. Unfortunately, there are others in our own communities that struggle daily. Staying active in retirement is important and so is supporting those who need a little help. Volunteering is one of the best ways to accomplish both of these goals. Consider giving your time today.